Hipp | Apple & Pear Pudding (4 ) | 6 x 125g. Our breakfast cereals are made with the finest organic grains to provide a breakfast that is bursting with flavour and yummy goodness. Helpful Links. Our policy at My Beauty and Care is to process and despatch orders within 24 hours to ensure your goods get to you safely and quickly. Hipp Creamy Porridge (6 ) - Dried [160g x 4] (5 Pack). 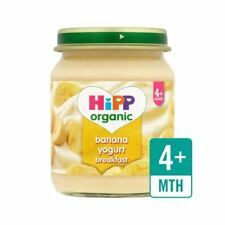 Hipp Organic Hungry Infant Milk 800G (12 Pack). Product details. This product is :- Organic. Hipp Spaghetti Bolognese (7 ) [190g x 6] (2 Pack). Hipp Spaghetti Carbonara (7 ) [190g x 6] (2 Pack). Delicious multigrain cereals with apple and milk.